The next ARMS Party Crash has been dated. 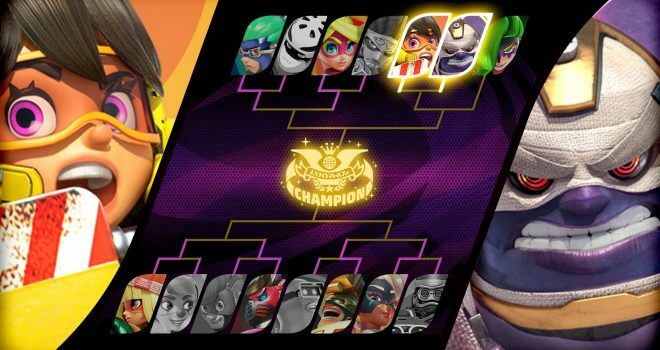 The event features Mechanica and Master Mummy. The Party Crash will take place from February 15th from 4:00am ET thru February 18th at 4:00am ET. Like Party Crash, Party Crash Bash is a limited-time Party Match event with special rules. By playing these matches, you can increase your Lab Level, which then grants you in-game currency and special badges. You can also get bonus multipliers by using featured characters and weapons. At the end of each event, a winning character will be declared based on win percentages. This event will then repeat every few weeks until one ultimate champion is crowned.